The ceremony falls right in the middle of Neil Diamond's Australian tour in March. Nothing is set yet, but Diamond hopes to re-shuffle some dates so he can make it. "I'll get in somehow," he says. "They are working on the details right now. I 'm very hopeful it'll work out because I don't want to miss this ... Any club that has Chuck Berry and Little Richard and The Everly Brothers is a club that I want to be a part of." 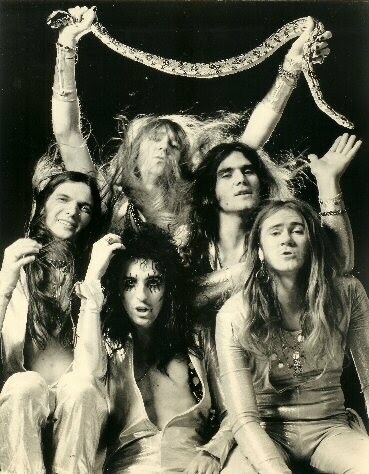 When Alice Cooper got the news he immediately called his former bandmates in the original Alice Cooper band. "I said 'Well, remember when we started in high school?" he says. "Here we are. It only took 45 years." Cooper plans on performing with the band, something he's only done a handful of times since they broke up in 1976. "We're trying to figure out if we do 'School's Out,' do we send balloons of confetti into the audience?" he says. "I doubt there'll be a snake there though...If you look at the list of past inductees it's all of my heroes, from Pete Townshend to The Yardbirds to The Beatles to The Stones. It's everybody that we listened to in order to become Alice Cooper, so it's pretty amazing that those are the same people that actually voted for us." me too! never saw Alice Cooper in concert, but saw Neil Diamond a few times, always a great show! Merry Christmas Lisa and hubby! 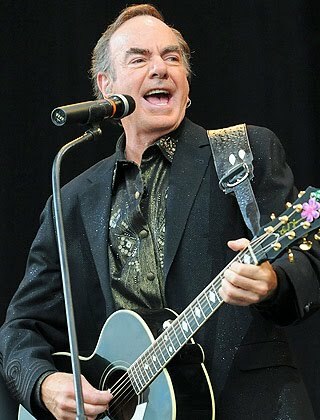 I Like Neil Diamond, always have, Here wishing you a wonderful 2011 and many more! !